Winners will be announced April 26, 2019! Thank you. We know teachers and students work hard all school year long, and that's why the Honor Roll was created. It's our chance to recognize and reward you and your students for all the incredible efforts you've put forth this school year. 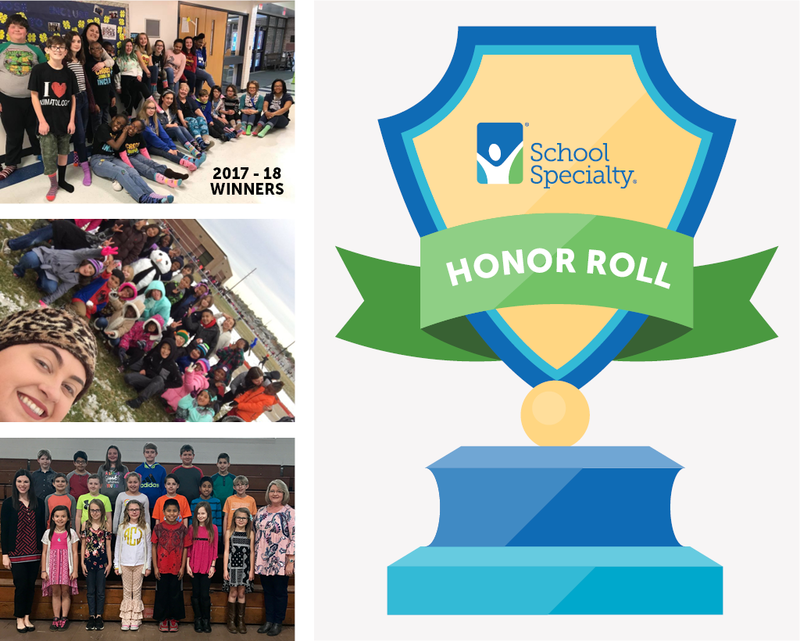 So, help us celebrate your achievements and spread the word by nominating an exemplary classroom for the 2019 School Specialty Honor Roll! 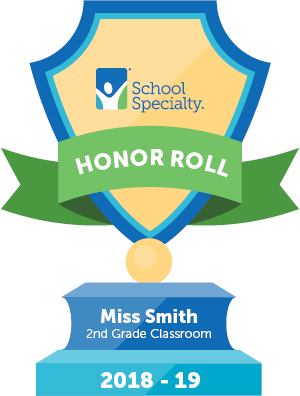 Three winners will be selected to become members of this year's School Specialty Honor Roll! Nominate a classroom (your own or another) by telling us about the biggest classroom accomplishment achieved this year. Tip: We want to be moved - the more inspirational the better! If selected for the honor roll, what should the trophy say? Accepting submissions through April 19, 2019. Honor Roll winners will be announced on April 26, 2019. Winners will be announced April 26, 2019.